I’m off and running with the first section of the book. Today I started where many knitters begin – protein fibers. No they aren’t lean chicken or God forbid – steak. 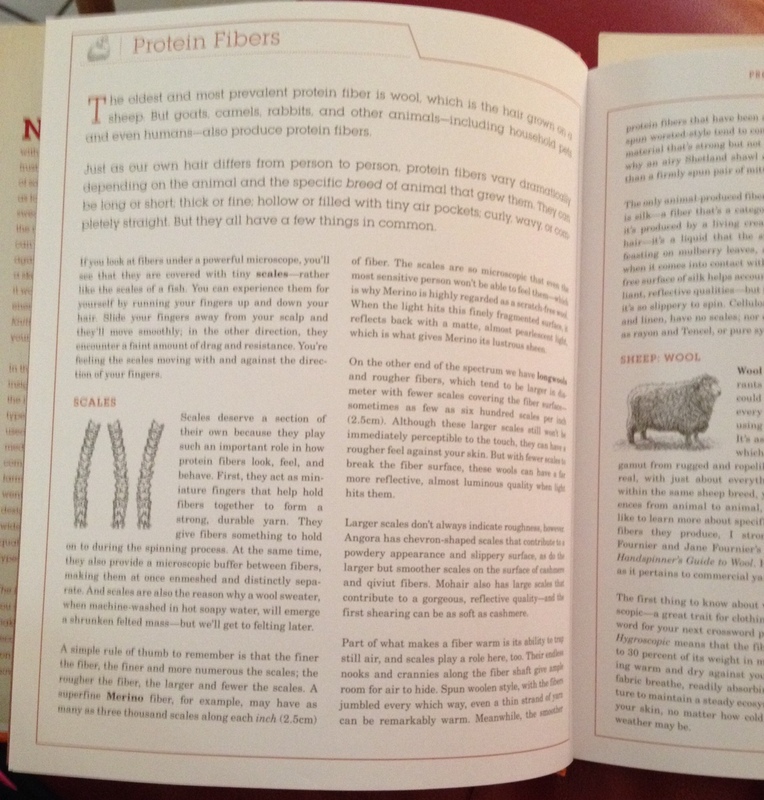 These protein fibers come from animals such as sheep and alpaca. Clara made it really easy to follow. I started out with sheep wool (the largest part of this section). What did I learn about wool – It varies depending on breed. Also wool fibers are covered with scales – the more scales the finer the yarn (such as Merino. I learned how super wash wool is made – wouldn’t you like to know. I also read sections about mohair and cashmere (both from goats) and a couple of other goat breeds that were new to me. On to angora (from bunnies), camels (yes, camels), alpaca, llama and I gave up at ! Who knew there were so many animals producing fibers – actually I did know, but learned interesting facts that hopefully I’ll store away for good cocktail banter…..